In the Barri Gràcia, we bite into La Bomba tapas, which pay tribute to historic Barcelona anarchists who fought in the Spanish Civil War. They go down easy with today’s Catalán identity. “Watch out, the brava sauce is spicy,” warns Renee. In Barcelona’s Gràcia neighborhood, a labyrinth of tight historic streets, we are biting into La Bomba tapas. This post contains affiliate links and/or references to our advertisers. We may receive compensation when you click on or make a purchase using these links. Carlos, the owner of L’Anxoveta, hovers anxiously, water at the ready. They couldn’t have known my husband. It’s the sort of statement he takes as a challenge, while simultaneously acting as my taster. “You’re safe,” I hear, so I take a bite, too. And just like that, we both become obsessed. La Bomba tapas. Our first day in Barcelona, and we get a twist on a traditional tapa with a fascinating history, served in a trendy modern space on a tiny ancient street. This moment will encompass every impression we get from Barcelona. La Bomba tapas. They’re crispy croquettes filled with a mix of potato and meat, centered in a pool of red picante brava, topped with an aioli fuse. Renee tells us L’Anxoveta was born out of a dream. When economic hardship during a recent recession caused Carlos to lose his job, he opened a restaurant. He thought he’d be better at being his own boss. Renee thinks he serves the best La Bomba tapas in town, and she has brought us here as part of a Devour Barcelona tour of the Gràcia neighborhood. Renee goes on to fill our day with great culinary finds scattered across Gràcia, a village founded in the 17th century by Carmelites. It was swallowed up into Barcelona when the Eixample plan merged Old Town districts dating from medieval times with neighboring villages. The result: a bustling new city that straddled the 19th and 20th centuries. But at the end of our day with Renee, on impossibly full stomachs, we’re still obsessed. It’s La Bomba tapas we think about. We want to eat them again, and we want to know more about how they came to be. As the Eixample modernized Barcelona, alternative ideologies were blooming in Europe. With the wealth and population shifts that had risen out of the Industrial Revolution during the 19th century, came economic disparity. In Barcelona, violence was frequent as anarchists, police, gangsters and hired guns, as well as Republicans and bourgeoisie, clashed for control. Bombings and assassinations began in the 1870’s and continued through the 1920’s and 1930’s, as a series of workers’ movements rose and fell. The anarchist’s weapon of choice in those days was an iron ball packed with explosives, ignited by a lit fuse. Forgotten Places: Barcelona and the Spanish Civil War is Nick Floyd’s monumentally researched and passionately documented combination of big picture narrative and detailed, localized events. This background information is even more timely now with respect to the recent Catalan independence referendum and the suppressive tactics undertaken by Madrid to quash hopes of secession. In La Barceloneta, a since-gentrified, but then lower class, waterfront neighborhood, anarchists traded contraband and revolutionary boasts in bars and taverns. Both Sills and Renee repeat the story: At La Cova Fumada (the Smoky Cave), barkeep Maria Pla shaped round potato and meat croquettes. Then she got the cheeky idea to plate them with aioli and spicy brava sauce to resemble bombs with fuses lit in a pool of blood. La Bomba tapas. Renee says, “most Barcelona foodies know that during this time of instability, La Bomba tapas were intended to make light of the chaos.” This stands to reason: it’s hard to imagine Barcelona surviving over the last 100 years without a mitigating perspective. We’ve already noted the Catalán penchant for lingering in each present moment. This kind of happiness roots in despair, even as it flourishes in the sun. On July 19 that summer, shots were fired while the city was filled with more than 6,000 athletes from 22 countries. Countless spectators had come for the Olympiad Popular. This event had been organized in the face of the controversial Berlin Games, in which American Jesse Owen would famously compete and win, much to Hitler’s disgust. In Barcelona, all these visiting foreigners would instead see a revolution and the start of a Civil War. Franco’s coup against the Republic was infamously bankrolled by the Nazis. 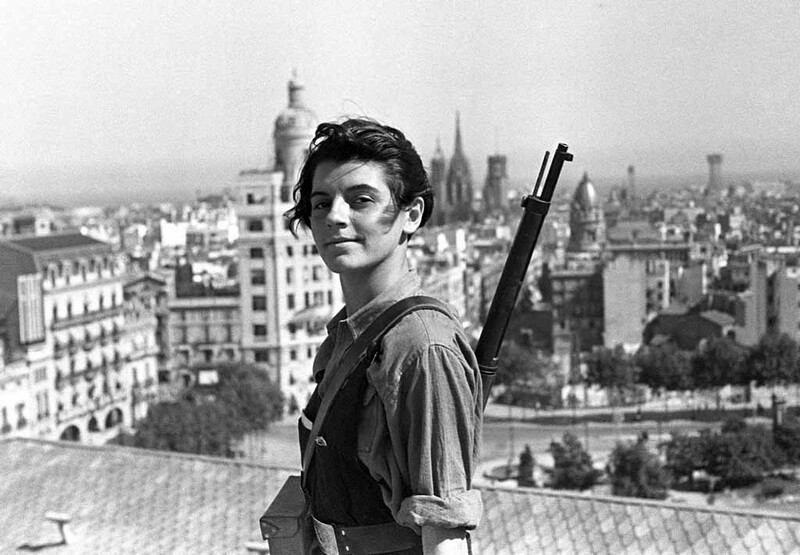 Ensuing attacks by fascist anti-republican forces had Barcelona’s anarchist/unionist workers defending the city with weapons they had to illegally seize. After beating off Franco, they then took over the factories where they had worked. 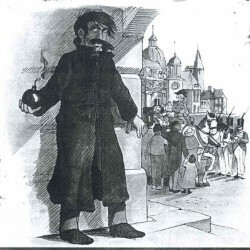 Over the next few months, Barcelona’s anarchists went on to collectivize thousands of other symbolic entities – 4-star hotels, certain churches, and administrative buildings – in a proletarian coup. Public services – transportation, shipping, power and telephone companies – and communications enterprises – theaters, newspapers and printing companies – were run by worker committees. And run well, by the ordinary people who had always been told they could not. All work was made equal. Things took a darker turn as leftist ideologies splintered. Over 7,000 religious clergy were killed, as it was thought they represented the old regime. Religious relics and tombs were desecrated. In May, 1937, pro-Stalinist forces killed hundreds of anarchists and their allies over a 3-day period in an attempt to wrest control of the telephone system. And economic challenges, caused by foreign embargoes and the seizure of the gold reserve by the Fascist government, hamstrung Catalunya’s immense productivity by limiting access to raw materials. In 1939, Barcelona fell to fascism, along with the rest of Spain, under Franco. Homage to Catalonia – Author George Orwell (Animal Farm and 1984) chronicles his personal experiences in the militia during the Spanish Civil War, after traveling to Spain to report on conditions as a journalist. Seriously wounded, Orwell returned to Britain to consider how reality confronted idealism and wrote this tribute to his colleagues. Nowadays, Barcelona’s Apple Store occupies the building which once was the Communist Party headquarters. Instead of Lenin and Stalin, iPads and MacBooks are icons of the people. In Anarchism in Barcelona: The Bank and the Bike Shop (Part 2 of 2), the Vagabrothers go on to examine modern-day anarchists who exist on the edges of Barcelona society. These groups, the main of which is Okupa, use methods like squatting, vandalism, education and workshops in self-sufficiency, and takeover protests. But the most remarkable aspect may be their volunteer community services such as clothing and bike exchanges which win hearts and minds against capitalism and government control. There is even a post-capitalistic community set up in an abandoned industrial center on the outskirts of town. 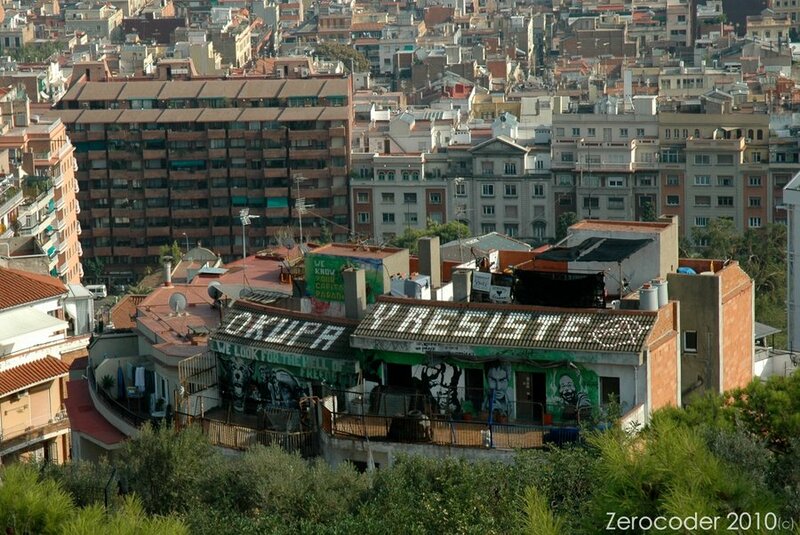 Barcelona anarchists acknowledge their activities are necessarily temporary because of illegalities, but the ideological value of group strength within a self-sufficient framework is appealing to many. We go back to Gràcia armed with more information and recommendations in an email from Renee. First stop is a return to L’Anxoveta. Carlos deserves simultaneous blame and compensation for the initial introduction. We find him happily busy, serving diners with a broad smile. He is truly a better boss of himself than anyone else might be. After more than a week in Catalunya, this is a common story that we can relate to as entrepreneurs. Ordering up “La Bomba, dos,” Pete’s getting proud of his new Spanish. Uno for me. The flavors blend: tartly perfect aioli, and a sweet picante bite in the brava sauce. Crisp shell and smooth inner texture. We do it again. Not too far away is Cafè Pagès. Renee had taken us to the owner’s father’s bar, Casa Pagès, around the corner for sandwiches of grilled botifarra sausage. Now in her email she lets it slip that the son’s Cafè makes good La Bomba tapas. We make a beeline. 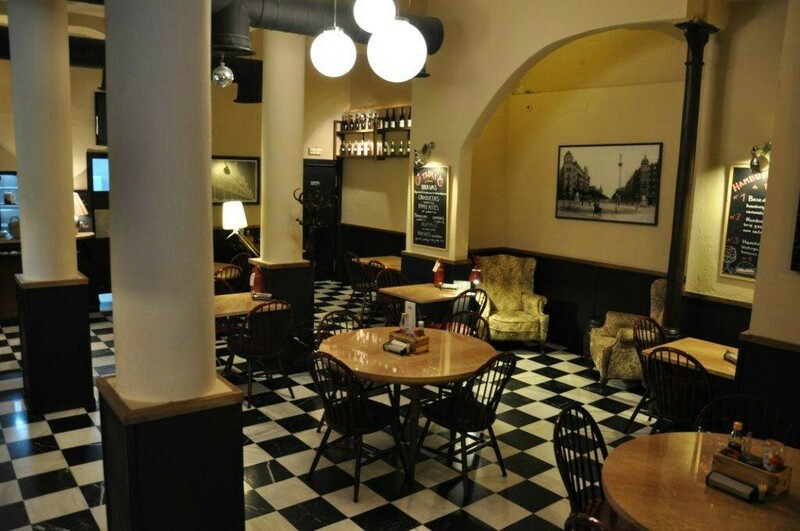 The atmosphere in the Cafè is retro, and it’s easy to imagine it being here just as it is during the war. Confidently, we order Las Bombas, three for Pete and two for me. The server looks horrified. “No!” she exclaims. “La Bomba is big! Try just one and see!” Chastened, we comply. Cafè Pagès’ La Bomba tapas are twice the size of the ones at L’Anxoveta, and taste different, too. There is no brava sauce, and the aioli is generous. This version is a meal, and we can definitely linger with it. We ask about the prep method and ingredients, and the cook emerges. Yes, there is egg, two in fact. One to bind the meat and potatoes and one to roll La Bomba in. I flash on a weird sort of anarchist parody, with me rolling croquettes in a 1930’s kitchen while animated political discussion rises and falls to the crackle of a radio. La Bomba tapas. Simple ingredients with a pow! It’s time for us to go. We’re leaving Barcelona in the morning. The streets of Gràcia are quiet in the mid-evening. I notice an “A” for anarchist symbol in some graffiti as an older couple walks ahead, helping each other along. They are unhurried, in deep conversation. As we pass, he graciously proffers a match, cupping her cigarette with his hands against the wind. We turn down Travessera de Gràcia toward our hotel on the Via Augusta and they are behind us, standing still. We are grateful to our hosts, Devour Barcelona, for this outstanding introduction to the Barcelona food scene, and fostering our obsession. All opinions are our own. Devour Barcelona Gràcia Culinary Tour – Visit 7 family run eateries off the traditional tourist path in the charming Gracia district. At least 12 food tastings and typical Catalan beverages. Meet local entrepreneurs and go to a daily market for an authentic experience. 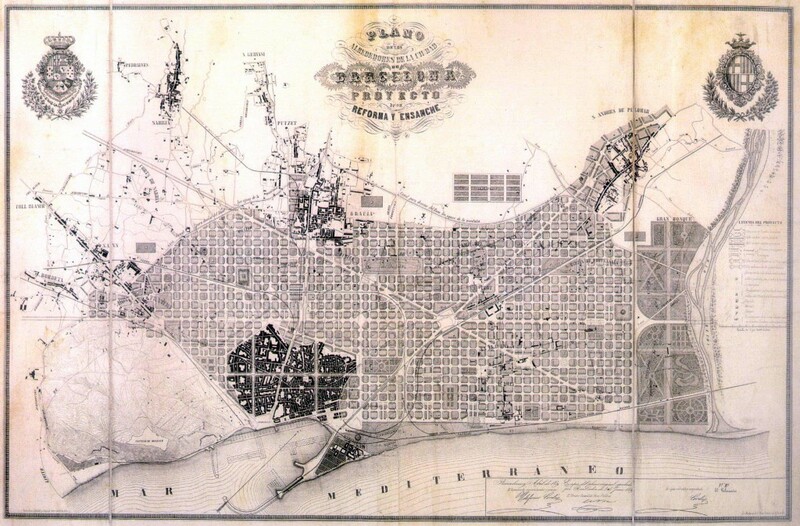 Learn about key historical events that influenced the Barcelona gastronomic identity. About 2 miles of walking, so wear comfortable shoes! Rain or shine. Click here for more information and reservations. L’Anxoveta, Carrer de Sant Domenèc, 16 (Gràcia). (+34) 934 14 92 23 Tapas, anchovies, octopus, squid and seafood. Daily plates. A variety of local wines. Click here for TripAdvisor reviews. Cafè Pagès, Torrent de l’Olla, 27 (Gràcia). (+34) 933 68 09 58. Comprehensive cafe menu with tapas, salads, lunch plates and dinners. Full bar. Click here for TripAdvisor reviews. La Cova Fumada, Carrer Baluart 56 (Barceloneta). (+34) 932 21 40 61, Open at varying times depending upon the day. No sign out front. Point and eat. 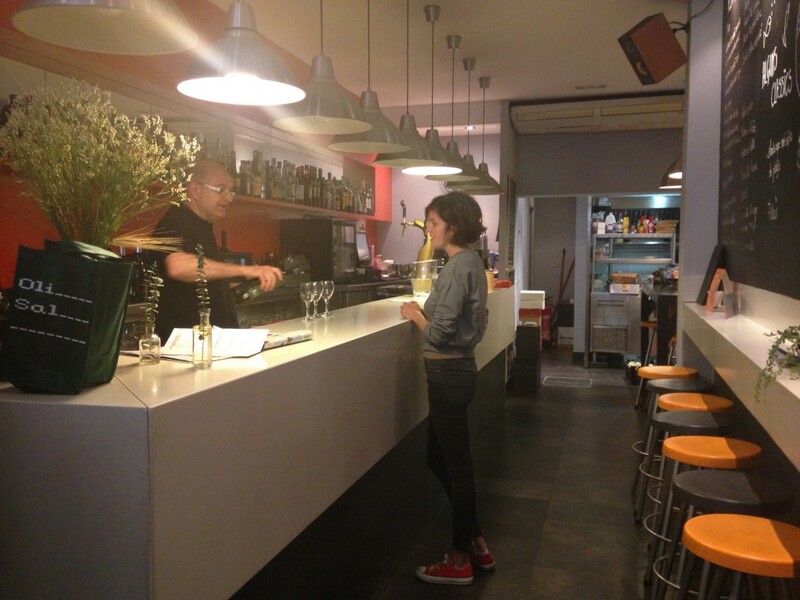 Barcelona Evening Tapas and History Tour – A guided walking tour of two neighborhoods – El Born and the Gothic Quarter. Vermouth, cava and local wine tasting at a traditional bodega and tapas bars. Includes 5 local drinks and at least 10 tapas dishes. English-speaking guide provides contextual history, culture and cuisine information and recommendations for the rest of your stay. Click here for more information and reservations. Hidden Gems: Historic Barcelona Market and Foodie Walk – Go behind the scenees at Barcelona’s oldest foodie gems on a 3-½ hour walking tour of two Barcelona neighborhoods and 6 authentic food establishments. Includes all food and drink for a light dinner, two alcoholic drinks with expert English-speaking guide for context in history, culture and cuisine. Click here for more information and reservations. Small Group Catalan Wine Tasting with Tapas Dinner – Adaptable for all diets except vegan, this tour includes all food and rink for a full dinner with 10 unique Spanish wines to taste at 3 authentic tapas and wine bars with expert, English-speaking guide to provide context in history, culture and cuisine. Group size is limited to 10 people. Click here for more information and reservations. Spanish Civil War Tours in Barcelona visit key sites in the city between 1936-1939, covering anarchism, daily life, George Orwell and other literature, and the effects of bombing. Daily except Wednesdays and Sundays at 10am for between 3.5 and 4 hours. For adults and children 11-15 years of age who should be very interested in history. Click here for TripAdvisor reviews. Hi Renee – It’s all your fault! 🙂 Thanks so much for lighting the fuse to know more about La Bomba. We’ll stay in touch. I think Spain is calling me. I would love to visit again and see the South of Spain, perhaps Barcelona and Catalonia too. Would bookmark your recommendations. Thanks! Hi Tanj – You’d love Catalunya, definitely. We can’t wait to get acquainted with more of Spain. This sounds like a great experience. I love Tapas! Would be great to taste the La Bomba but as it´s filled with meat I have to skip it. Do they have something similar for vegans/vegetarians? I’ve only ever been to Barcelona when I was kid (and once en route to Benicassim), but I feel like it’s my spiritual homeland 🙂 great post! Wow, very interesting look. I did the tour and went to l’Anxoveta as well but since I’m not a meat-eater had patatas bravas instead which was everything except the croquette (and awesome!). I was amused by the origin of the dish and enjoyed your delving into the history further here. The Devour Barcelona tour sounds like so much fun, and how interesting to learn the history behind the La Bomba tapas! Hi Suze – We highly recommend the tour for first time or repeat visitors. Glad you enjoyed the history we were curious to learn and share. A really fine article that merges culinary tourism with one of Barcelona’s most fascinating periods of history. I loved reading it. I am now officially starving and missing Barcelona. I wish I had left time for a Devour Barcelona tour. (I’d need the bombas without the brava sauce. ) I also need to return for a history fix after I brush up on Spanish literature by the Generación de 1898. Hi Suzanne – I can so relate. We finally found a decent place to eat here in Fuerteventura. Barcelona and the rest of our exploits have set a high bar, haven’t they? I have Orwell’s Homage to Catalonia queued up next on my iPad. Just finished For Whom the Bell Tolls. Lucky us, we’ll be in Barcelona for a quick night on Wednesday before we head north. I am sorry that my study of 20th century history never really covered this region except to lump Franco with Hitler. 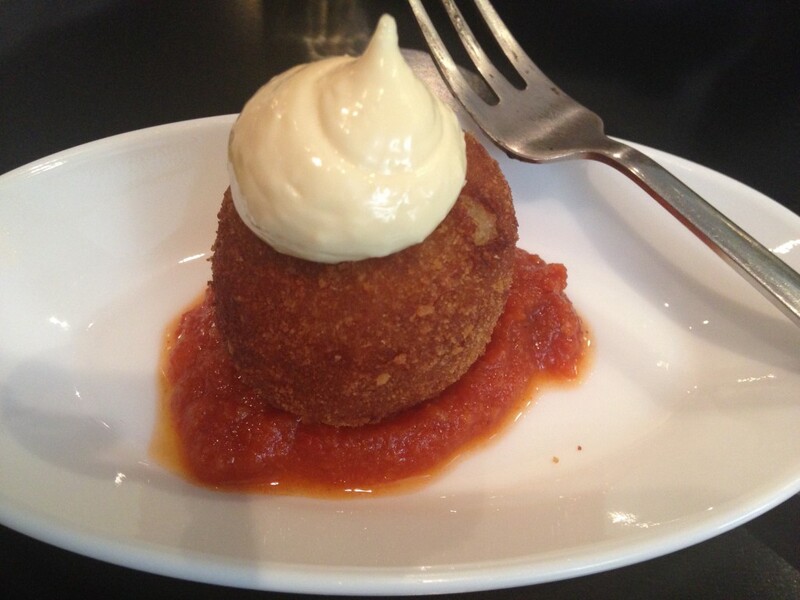 The bomba was one of our “go to” tapas during our time in Spain. They were delicious! And, each place has a different recipe for their bravas sauce, so you never know exactly what you’re going to get — it’s a good idea to employ a “taster”! Hi Sean – Yes, they’re really tasty and it’s fun to note the differences. Thanks! If the Rojos top brass knew that an Apple store now occupies their old headquarters, they would have a fit! But that’s they way of the world, isn’t it? My grandfather fought in the Spanish Civil War and says, to this day, that it was a waste of human life and resources for nothing because nothing has changed. Now on to the bombas. I didn’t know the story behind the name but I think it’s such a typical Catalan thing to do, give them the finger in any way they can 🙂 BTW, I do really like bombas. I prefer bombas with Serrano ham. The addition of alioli is the perfect touch of flavour. Hi Olga – Yes, it’s our absolute favorite. OK, I’m ready to return to Barcelona! I absolutely love Spain and especially the tapas! I don’t believe I’ve had a La Bomba, it looks delicious! What an interesting bit of history too! This was a great article. I love the spin and learning more about the culture of the city. 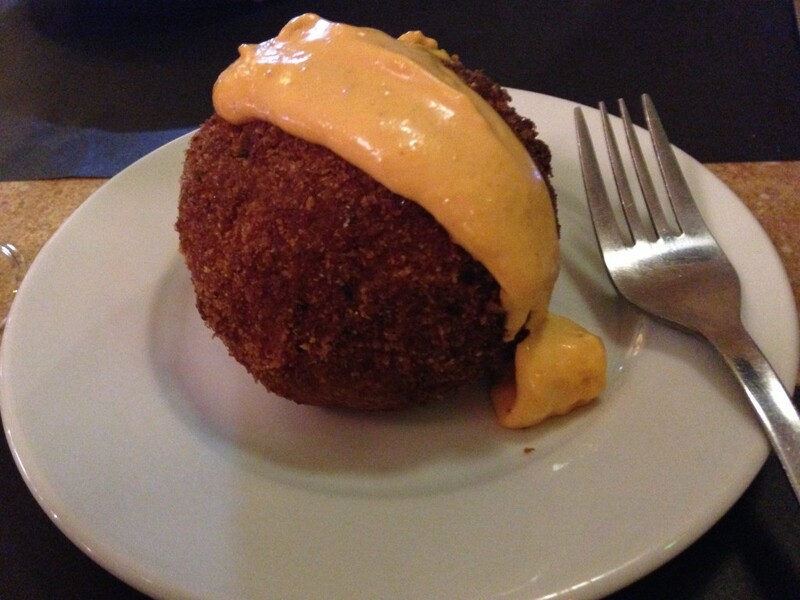 I can’t believe I missed out on La Bomba when we were in Barcelona! Hi Dana – All the more reason to return! This looks absolutely delicious! And such a great story. Hi Sophie – Yes, we were fascinated. Now I’m reading even more history from that time. Fantastic post – one of the best I’ve read in a long time. Both the history and the food are equally tantalizing and it makes me want to got Barcelona even more than before. Hi Kate – We love the history and traditions, too. Barcelona has to be one of the most lively, yet not overwhelming, cities in the world. So much positive energy. Very interesting post. I love Barcelona and enjoyed the bit of history you provided. The history shapes the city and attitudes today. I never came across La Bomba tapas when I visited. Now I have one more reason to return. Hi Donna – You’re right, the history is very much alive in the city today. Hope you can return soon. How did I not try La Bomba when I was in Barcelona?!?! I had not idea about the history of this particular tapa. Thank you for your dedicated research, it will be the first tapa I try next time I am in Barcelona! Hi Susan – Renee delivered the story so entertainingly, yet so casually, I reacted: “Wait, what?” and had to sleuth it out more. I enjoyed every word as I learned about the history of this city and behind La Bomba! So interesting and your photos really help tell the story. Hi Marilyn – Thank you so much. We thought it was fascinating, too. What a wonderful tour (thanks we taking your readers on it with you!). 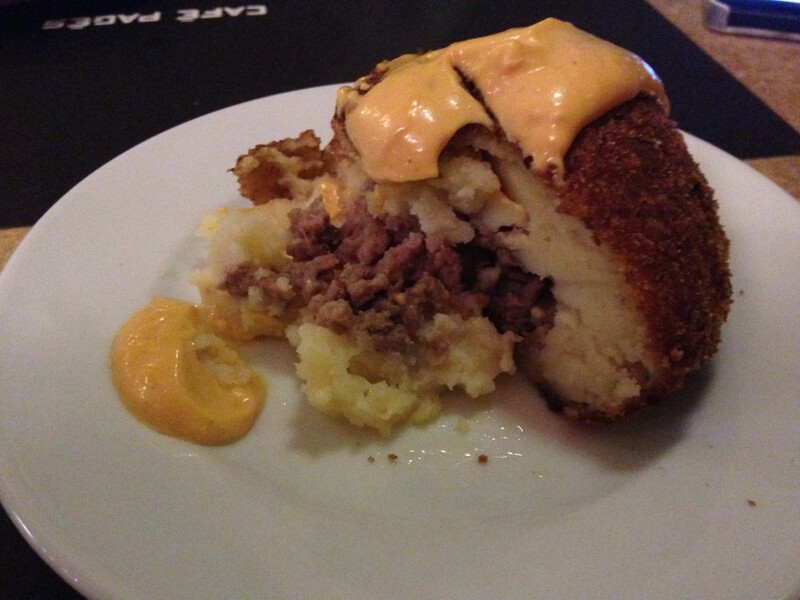 I’m definitely craving La Bombas right now! The history and photo were great! Hi Irene – It’s a story that deserves more notoriety. Happy to share and glad you enjoyed it! I’m bookmarking this post because I loved everything about it and because I want to re-enact it when/if we get there some day. Mahalo! Hi Yasha – Happy to tempt you, but as I’m sure you’ve read above, there are vegetarian versions of this yummy tapa. Glad you enjoyed the history, too. This food back-story is a great one…I love a quest, too, and will follow in your La Bomba footsteps next time I’m in Barcelona! Hi Nancie – It is compelling, isn’t it? Thanks. those La Bomba tapas at L’Anxoveta in Barcelona look like da bomb! Your images were making me salivate. I will definitely order one up next time I’m in town. I have just met so locals from Barcelona on my travels in Austria, we talked about this exactly. I am planning my visit to see them and the beautiful city of Barcelona once again, where I will immerse myself into the food and history all over again. Hi Carissa – We feel the same way about returning. Thanks for your comment. Hi Jo – Thanks, ironic, isn’t it? Glad you liked the story and hope you return soon. Wow! I had no idea about the history of the La Bomba tapas thanks for the thorough lesson. 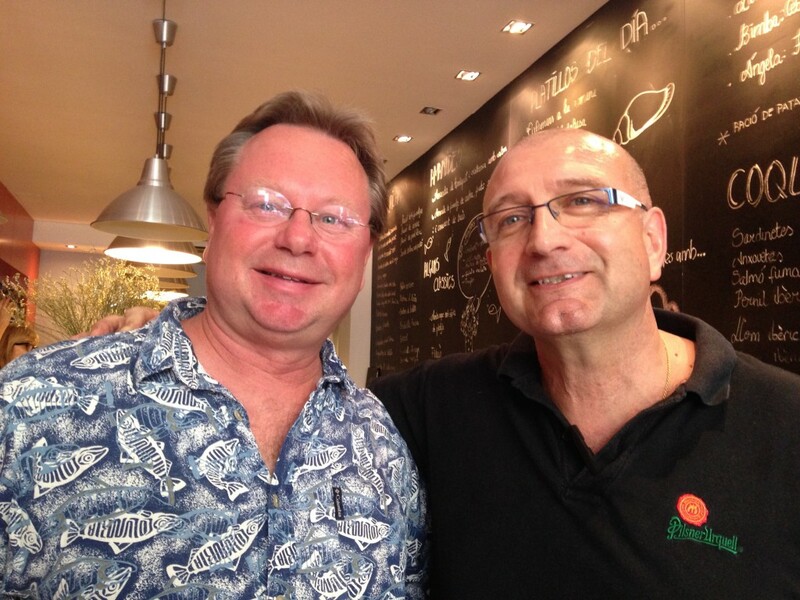 Have to check out Devour Food Tours next time we’re in Barcelona. Hi Sue – Their tours have your name written all over them! Loved your synopsis of the Spanish Civil War and its ultimate defeat by Fascism. The history of Spain is so fascinating and the food … The “Devour Barcelona” sounds like a challenge I’d like to do. And luckily, we still have time while we’re here in Barcelona to try the La Bomba tapas! Hi Anita – Head on up to L’Anxoveta! You won’t be disappointed! See you soon! Hello, Great article. I love Barcelona and am always ready to go back even more now. Hi Tom – ¡Nosotros tambièn! I would only add a bit more information about nowadays anarchism and social movements in BCN as we don’t only do food and bikes stuff 😉 We basically try to change the world for a better equal place, even though it’s basically a lost battle, we are always fighting for the people who have nobody to defend them, like old and poor people being kicked out of their houses for the sake of bank’s profit and tourism business growing up in the center of the city and so many other poignant matters, inmigrant people, etc. All kind of social movements (not only anarchist) are still very active in Barcelona, even though we have a lot of police repression and so many forces against all of us… The city used to be called “La rosa de foc” (“the rose of fire”) for that..
Hi Helena – Thank you so much for your comment. When I was researching this article, I found myself sympathizing very much with the reasoning behind your movement. And I can understand why you feel the illegal tactics are necessary. Like you, I believe society has an obligation to care for its vulnerable members. While I may not agree with everything your colleagues are doing, I applaud the social ideals and the fact that you are acting on your beliefs. We really do love your city and wish it the best. This was really interesting and beautifully written! I love the whole Catalan mentality and mood. For some reason I have ended up in Barcelona 3 times on their National Day which is in September and they are always trying to secede from Spain. I don’t think it can happen but if it does I’ll still go see them so I can try some of these tapas! Hi Kay – We agree with you on the Catalán spirit! I think Americans love to see independence occur. Whether it does or not for Catalunya, we’ve vowed to return. 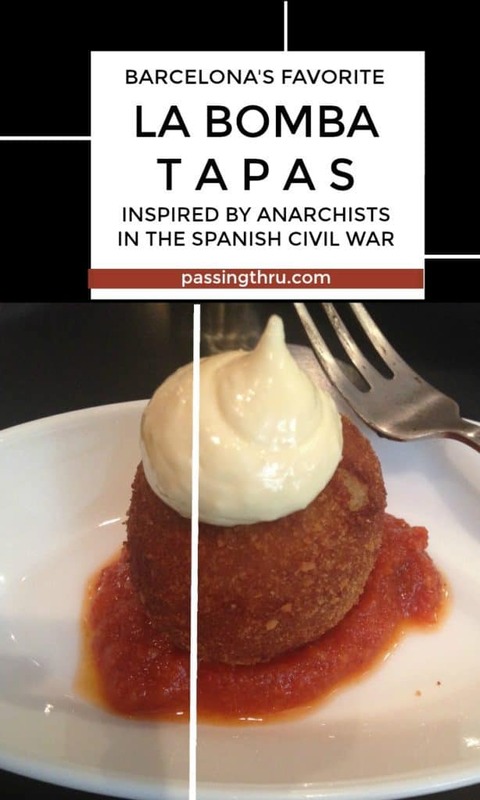 Anarchy, fascists, AND Tapas?? Who knew? As with all of your enormously entertaining posts, I learn so much. This time, however, you’ve made me hungry, too! 😉 Devouring Barcelona sounds wonderful! Hi Lisa – I know, right? When we heard the “legend,” we thought it was just begging for a detailed look. And it’s a tasty tapa! What a tale! My favorite tapa (though it doesn’t boast such a tale) is simple crisp fried artichokes, and Barcelona is where I’ve found the best! I love the way that food relates to the culture of a place. And even, as here, to the politics! Hi Karen – We do, too. Such an unusual and interesting story. What a fascinating and romantic history! (And it looks delicious too!) Thank you! Hi Rachel – Thanks, glad you enjoyed it! I also loved Las Bombas in Barcelona but had no idea of the history behind their creation. Like you, I have to say that period of Spanish history was entirely missing from my schoolbooks. A book I think you would enjoy: Shadow of the Wind, by Carlos Zafon, a novel set in Republican Barcelona. It’s one of the best novels I’ve ever read. I am already wanting to go back to Barcelona. Nice post! Barcelona is high on my wish list. Tapas and history is a perfect combo for me and the Spanish Civil War has always intrigued me. Would love to go to La Bamba! You take me back to a beautiful trip to Barcelona. I wish I would have known about Devour Barcelona! I have read Shadow of the Wind (as well as the other two in the series) I love being able to put myself (at least mentally) in Barcelona. Loved the history in your post.